1 (Anthony) also tried to stop these threads recently + 1 (Pallone also trying) = 2 that are both good friends. And also 2 (Anthony, Pallone) + 2 (Lisa, Angie) = 4 (Anthony, Pallone, Lisa and Angie) All 4 are good friends.....See the connections!!! Joan, all the speaking to Anthony has been on this board or The Mastiff Grandeur Board and around 6 years ago when he called me about dogs when he lived in El Paso I believe. So No Joan Anthony is not a Friend of mine......Nice guy it appears and friends with others that speak nicely of him.......but we are not close, we have no business together nor dogs. I did not see Anthony trying to stop anything, I have supported you--Joan each time I posted on Lisa and Angie cheating people and how wrong it is........In fact Steve P called me from Oz........and I even said Wow I never knew Uta is owed money also........and he said a man in Canada also.......so I have no issue with people knowing to stay away from people that lie and cheat people out of money and Steve P will tell you I have always supported him in his issue to get the money owed him .............I just include Don Motz and MillCreek Mastiffs since he does the same and owes Grienier Hall over $100,000.00 from the law suit he lost to them. I do NOT want this thread stopped........I want it to continue.......I want it every where on the Internet, that is why I change up some words here and there so it goes more places, so everyone can see who to stay away from when looking for Mastiffs or any other kind of dogs they get into or if they change their Kennel Names. I am actually helping you or stopping them from having a good name in Mastiffs. Joan why is this on your Web page?????????? I never get in these heated discussions, but I am going to say exactly what I know, and feel on a few different things that have been brought up on this thread. To whom ever started this thread, and whoever is involved with the "real reason" this thread was started, please except my apologies in advance. I mean absolutely NO harm to any of you. 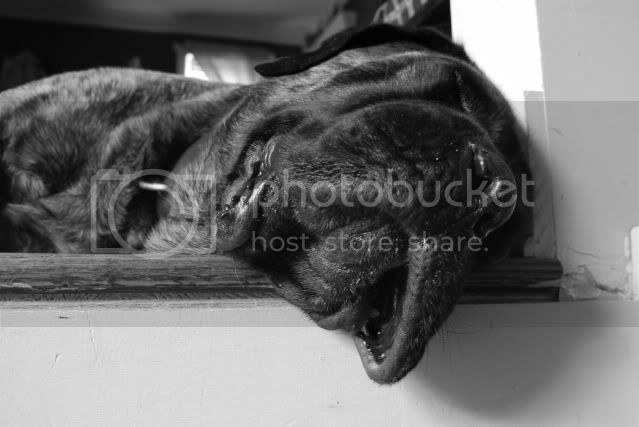 Written by Joan Brown of Mammoth/MillCreek Mastiffs. YOU, Joan Brown, are NOT a respected breeder in my book. It can be an exclusive board to only you two. (No offense Linda, I think you know where I'm coming from). Well, let's just say, Joan Brown and Don Motz may not be able to decipher the statment's made, and it is simply for their clarification. I myself, know the difference. Apologies to all (well, except Joan Brown of Mammoth Mastiffs) on this thread, I have started a new one regarding this particular subject. Go and see the thread I have posted...EXCLUSIVELY for YOU!!!!! Don Motz is nothing more than a "Mastiff internet troll". Just read what he has written. How dare you speak badly of my friend Don! I forgot how much you and Don love each other. I'm thankful for the new gay marriage laws in NY because now you and Don can realize your dreams. Is it Steve Motz or Don Oifer? Either way, you guys are cute together. Just as long as you don't change my name to Ben Dover! How I realize Joan Brown is 'attempting' to make folks 'think' she actually cares, or is concerned about the poor folks that have suffered losses, or have not received monies back - I have to say, that it looks to me like it is just plain old meaness at this point on her part. Smily faces to me do not indicate concern. I believe this forum has gotten its point across, and I'm certain those invloved have learned very valuable lessons. I think by keeping this thread up and running is just adddng fuel to Joan's little fire. Don't you think it might be time to lock it up? Just my observation on the matter. THough my opinion counts for nothing, here it goes. These threads, without all the extra parts, serve a very useful purpose to the Mastiff community and to those seeking justice. They also serve as fair warning to other to be cautious what they do in regards to fair and honest business transactions. That is my opinion...all the other stuff was totally off topic. I agree wholeheartedly with you Teresa. However, it seems like it is getting way out of hand by one particular individual. In 'my eyes', it looks like more of an act of 'retaliation’ against the breeder vs. ‘actually' trying to help those that have lost monies, a pet puppy, etc. Joan publicly posted her dislikes about the said breeders', and it, to me, just looks like an act of retaliation. Which even if it is, why bump it daily, rather than locking or pinning it? This is a personal vendetta that she has and in my opinion, she is using this and other boards as a way to attack, rather than handle ‘her matter’ privately. In my thread regarding Joan Brown, I was literally sarcastic with the bumpity, bump, bump thing, because it looks to me (with all of the smiley faces and grins) that bumping is some kind of joke to her. Hi Trisha, I for one would love to see this thread pinned along with the David thread and Heska thread. This forum is the most viewed forum in the world and if you put Dreamquest or Heska mastiffs in the search these threads are what comes up and I am sure many people have already been saved the heartache of dealing with these particular kennels. Great to see this thread pinned, thank you to everyone involved in getting this to happen. It truly is very much appreciated. Below is a link to all threads good and bad about Dreamquest Mastiffs so people can read and make their own decision on the ethics of this kennel.